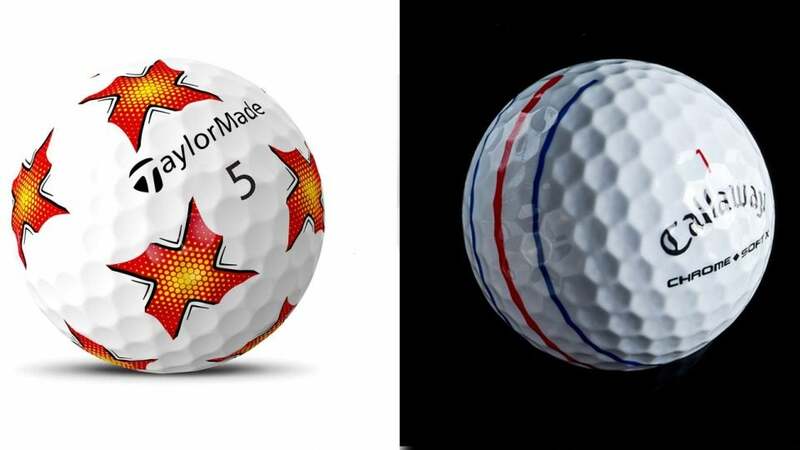 Why are golf ball brands putting weird patterns on their balls? Welcome to another edition of Yo, Gear Guy!, an interactive GOLF.com series in which our resident dimplehead (a.k.a., GOLF’s deputy editor of equipment, Mike Chwasky) fields your hard-hitting questions equipment questions. This week he dives into the trend of golf ball brands using innovative patterns on their new models, explains the basics behind wedge sole grinds and more. Cmiller10 on Facebook: My dad says my modern forged irons with face inserts aren’t “real” forged irons. Agree or not? I understand where your dad is coming from as we’re both probably older than you and remember when a forged iron meant a one-piece forging with minimal technology, a beautiful look, and outrageous feel, provided you hit it solid. Those type of irons, granted with quite a bit more tech than in the past, still exist for sure (see Mizuno JPX 919 Tour, Callaway Apex MB, the new TaylorMade P-7TW, Srixon Z 785, and others). They’re better than ever if you have the ability to strike the ball consistently and have enough speed to achieve ample trajectory and distance with them. The benefits of one-piece forged irons are definitely numerous if you’ve got real game, particularly the fact that they’re extremely predictable, but if you don’t they won’t help you much (or at all) on miss hits and won’t contribute any extra ball speed or distance. The problem some traditionalist have with “players distance” models being marked “forged” on the clubhead or hosel is that these models (see Callaway Apex 19, TaylorMade P790, Srixon Z 585, Mizuno JPX 919 Forged, and others) have forged clubheads with face inserts that flex at impact, making them multi-piece and multi-material rather than one-piece carbon steel. The argument is that this modern construction doesn’t provide the same feel as old school forgings, and because they have flexible faces and strong lofts they’re not real “players” irons. Personally, I played one-piece forgings for years and now play a modern multi-piece forging and understand, to a degree, what your dad is saying – it’s true they don’t look, feel, or perform the same as one-piece models, but to me that is a very good thing. The feel on some of these models is absolutely amazing and the advantage of added ball speed, distance, and forgiveness is extremely welcome. So, while your dad has a point, I’d stick with your modern “forged” irons and play them proudly. PJGans34 on Instagram: Are the new Truvis, Pix, and other patterns on golf balls a trend or real? I find them distracting. It’s tough to say at the moment if this is a trend or not, as colored golf balls and alignment patterns like Truvis (Callaway), Pix (TaylorMade), and Triple Track (Callaway) are becoming quite popular (Callaway’s golf ball plant in Chicopee, MA, is currently running around the clock to produce enough Truvis balls to satisfy demand) among golf ball brands. However, I’m prone to say it’s not a trend, and that the benefits outweigh the annoyance or distraction factor you mentioned. There was a time not long ago when anything more than a dot or initial on your ball for identification purposes was uncommon, and that quickly gave way to a solid percentage of players religiously applying prominent Sharpie lines to use for alignment. Golf ball brands caught on and started putting arrows on their side stamps and before you know it we suddenly have multiple manufacturers offering patterns that can be used for alignment, identification, to make the ball look bigger at address, or simply to make putting and chipping more fun. The white golf ball simply doesn’t offer anything in terms of visual technology and it’s probably time things changed. In fact, I recently talked to Jason Finley, Callaway’s global director of brand management, golf balls, about the company’s Triple Track technology that was developed for the ERC Soft but is now offered on the Chrome Soft X due to Phil Mickelson’s Tour usage, and he agreed that there will likely be more competition than less in the category in the near future. Stay tuned. FrankD2 on Instagram: I’m looking for new wedges but find the sole grind thing a total mystery. Any advice? That’s a pretty broad question but not an uncommon one as choosing the right bounce angle for wedges is confusing enough for many players let alone sole grind. Admittedly, sole grinds can seem mysterious as each company uses its own designations for their designs and one company’s sole with 12-degrees of bounce, for example, might play significantly different than another’s with the same spec. The key to getting the right wedge grind is not much different than getting the right iron, driver, or ball for your game – you need to do some research and hopefully get fitted. If nothing else, you should visit each of the major manufacturer’s websites, and if they have a “wedges selector,” you should try it and see what comes up. To give you a simple primer, most OEM’s have a “standard” sole grind that works for a fairly wide range of players and conditions. Good examples are Callaway’s MD4 S grind, Vokey’s SM7 F grind, and Cleveland’s RTX4 (Mid sole). Those “standard” grinds are a good place to start as they typically have “mid” bounce and can be used to play a wide variety of shots in normal conditions. 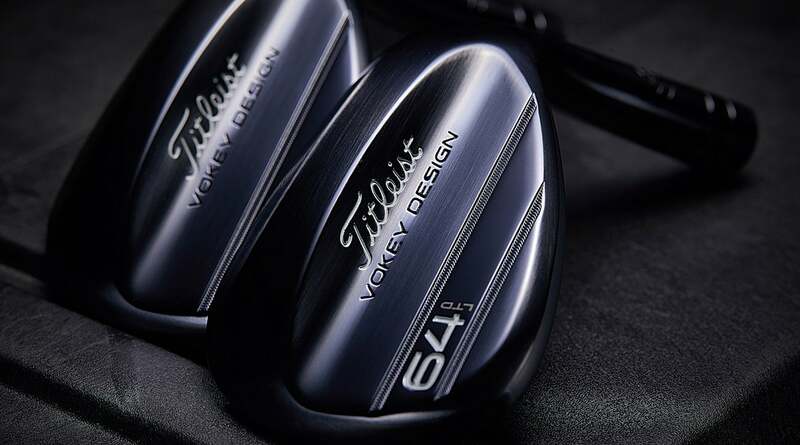 The new Vokey 64T Slate blue wedge has a sole grind designed specifically for courses like Augusta National. Those companies, and others, also have narrower soles with more relief in the heel and/or toe areas that are typically for more sophisticated short-game players as well as wider sole, higher bounce grinds that typically fit those who play in soft conditions or mostly play basic square-faced shots when possible (nothing to be ashamed of – I personally play a wide sole wedge). So, while this might sound like a lot of info to digest, really it’s just a matter of understanding what type of shots you typically play and in what conditions you normally play, and then translating it to the grind that sounds right. One last word of advice – most recreational players would benefit from erring on the side of wider soles and more bounce than otherwise.